A hero is defined as: 1.) a person noted for courageous acts or nobility of character, 2.) a person who, in the opinion of others, has special achievements, abilities, or personal qualities and is regarded as a role model or ideal and … 3.) in some states, a sandwich. 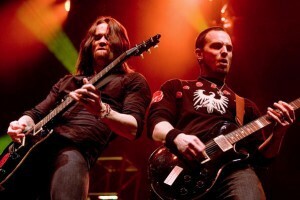 Alter Bridge has two of three covered in their new record, The Last Hero, which will be released on October 7th. 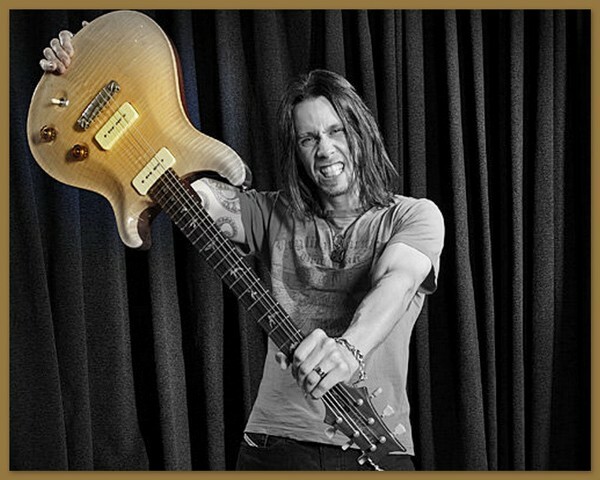 For frontman Myles Kennedy, it’s a subject matter of great intrigue. Kennedy, who in addition to fronting Alter Bridge the past twelve years, has been working double duty as the lead singer and contributing songwriter in Slash featuring Myles Kennedy and the Conspirators. Between the two, he’s released eight records and toured the world non-stop. With The Last Hero however, Kennedy dug deep into every corner of the four letters that make up the word. In addition to triggering emotions that connect with today’s society in search of a decent hero (see first single, “Show Me a Leader.”), Kennedy also found valuable lessons from his past pour out in “My Champion,” a song that offers hope and encouragement to keep on keeping on. Lastly, and to Kennedy, most importantly, he also found a way to stress optimism. 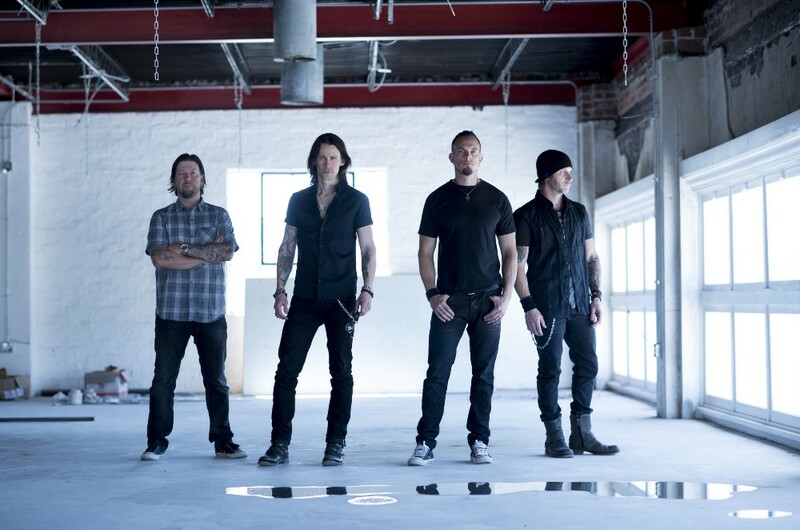 It’s an approach that has always come natural to Kennedy and Alter Bridge, and one that has hit home with the masses of Alter Bridge fans that have sincerely found solace in their words and music. Two days before jumping into an almost year-long and action packed album release schedule, I had a chance to speak with Kennedy from his home in Spokane about the motivating themes behind the new record, the potential for 2017 to be the year of his long-awaited solo record and how his personal hardships have served as fuel for his success. 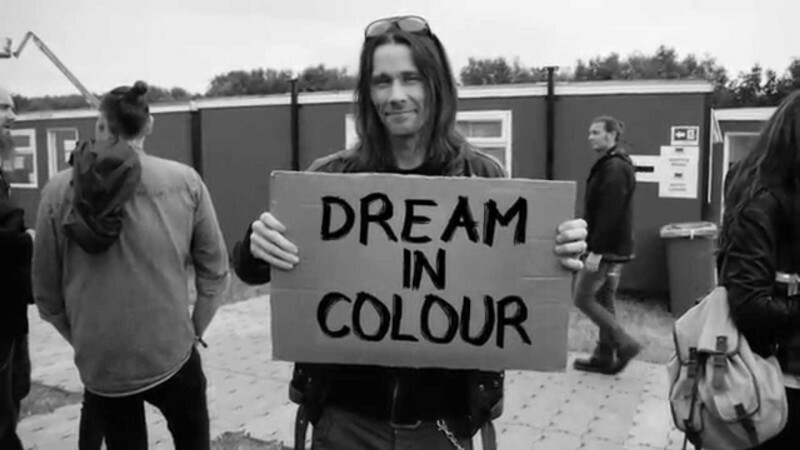 Alter Bridge really means a great deal to a lot of people. I know it sounds cliché, but the positive impact your music has on your fan base is very profound. Well, thank you. We’ve become aware of that ourselves the past few years. That’s why we do it. The fan base are very passionate and very vocal about the role the songs have played in their lives. Ultimately, it just gives us purpose. We are really grateful and really lucky to have that. With all the different musical endeavors everybody in the band has individually, is Alter Bridge a homecoming for you all? I think a lot of it is what you just touched on with the fans. They are so passionate and always seem to be there for us. We put out records about once every three years. With the current state of the world, people’s attention spans are usually pretty short, mine included. It’s great to know that level of support continues to be there. The fans expect a certain amount out of us. The idea of phoning it in is not an option. We wouldn’t do that regardless, but there’s a certain amount of pressure knowing these songs have resonated the way they have with people and mean what they do. You want to continue to create things that have that kind of impact. When the four of us in the band get back together, there’s a definite comfort level. It’s like putting on a really comfortable pair of old shoes. 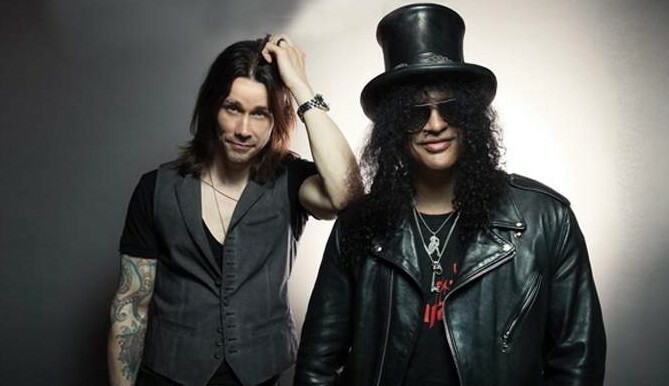 Between Mark Tremonti’s band and Slash and the Conspirators, there’s a certain relationship that has evolved and it’s a very healthy relationship with both camps. To say one has priority over the other is difficult because they are so different. I will say that I feel very fortunate to be in two projects that are healthy projects where everyone gets along and there’s no real drama. 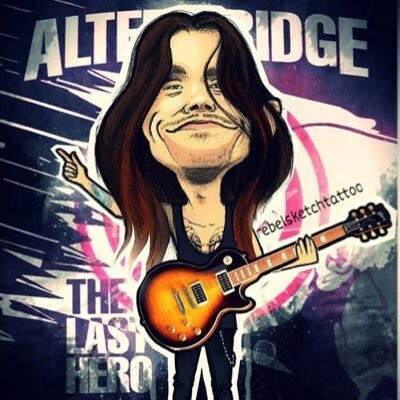 You mentioned how Alter Bridge never phones it in and I think that’s a great example of what you represent and how you connect with the fans. It creates a mutual appreciation. As busy as you are, I’m sure it would be easy to phone it in if you wanted to, but you demonstrate how much each opportunity means to you. It’s funny, I found some old journals the other day. I was skimming through a Mayfield Four period and I was remembering how it was really a tough time. It was a heartbreaking time because it was really my first shot on a national stage and it didn’t go exactly as planned. I went through a period there where I was pretty bummed, jaded and not sure about the future. So as somebody who has had a second opportunity, and it happened in that second opportunity, I got to have a career as a recording artist, get to tour the world and have people support what I’m a part of, I don’t take that for granted. I never will because I know what it’s like when it disappears. I’m really grateful I went through everything that I did early on in my career. It’s taught me not to take anything for granted and be very passionate and serious about what you do. On that note, the song “My Champion,” off the new record jumped out at me right away. You recently explained how that song is somewhat about your struggles early on in life and fighting for everything you have. What made that emotion surface for you now where you wanted to put it in song form? I think in a lot of ways growing up was a source of inspiration just like going through the struggles early on in my career. I’ve been able to draw from that period in my life the same way I was able draw from losing my Dad when I was young. There are these pivotal moments that you look to extract, come to terms with and talk about. Hopefully, you create something where other people will find comfort in that. When I was listening to the music and approaching the lyric on “My Champion,” that’s just how it spoke to me. “May this be your victory song. A song for you when I am gone,” sometimes those lyrics just happen, they come from out of the blue and you just run with it. That song took quite a while for me to write. I slaved over it to make sure it was just right and as honest and poetic as I could possibly make it. You tend to always have a song or two on your records that has a very uplifting spirit where you offer encouragement. Do you feel it’s important given your platform to make sure you have some messages of optimism? A lot of it is just my approach to life. The same is true for Mark. Just trying to persevere is not always easy. You’ll always have your ups and downs, but remembering that you have to push through things and have a fighter spirt, that will always be there to some degree with my writing. I believe that wholeheartedly. I don’t believe in giving up. Within my years on this planet, I’ve seen too many examples where if you work hard enough and you get back up, you kick the dust off and keep pressing forward, you will get back on path. Life is going to then be much more rewarding as opposed to someone who falls down, stays down and complains and blames everybody around them. I don’t subscribe to that theory of living. I believe you make your own destiny. I will continue to convey that in the songs. There’s also the hero theme to this record. Was that something you’ve always wanted to write about or is it more of a reaction to the current environment? A little bit of both. The hero concept has popped up a little bit in the past. Early on, in my evolution of a young person, I stumbled upon the writings of Joseph Campbell. He was really into the hero’s journey. It ended up being a true learning for me in understanding the role of a hero in our society. With that said, the times we are living in right now, this election cycle is more polarizing than any of those that I can remember because it seems a lot people have a need for effective and strong heroes and leaders. I think that’s why this really made its way to the degree that it did, to this record. It was undeniable. It had to come out. I couldn’t shut that off. I find The Last Hero to be an incredible journey. You start off with this mesmerizing guitar intro then blast through waves of music and emotions. The first thing you say on the record is “Well they’re selling another messiah here tonight.” Then you close the record by you saying, “There is still a chance left for you and me” in the song “The Last Hero.” I find it fascinating that through all the different layers of music, the record comes to an abrupt end on just that line. I never picked up on that actually. Wow, that’s really cool. I never thought of that. That’s very enlightening. I think the record is a bit of journey. At least in my head as the songs were being created lyrically, there was somewhat of a story. Although it’s vague, it’s there. It helps me if I can visualize things and take myself on a journey. I’m curious to see how many people will pick up on that. It’s not a concept record, but you could almost make it into a story. It’s ambiguous enough where you can fill in the blanks and build something around it where it would be very interesting. Mark Tremonti has said both he and Slash agree you are the best guitar player in their bands respectively. How do you feel about that? They are totally lying. That’s just not true. The thing is, both Mark and Slash have very distinct sounds. That’s something that is unattainable. You hear Mark play and you know its Mark Tremonti. You hear Slash play and you know its Slash. With me, I was a studio player and studied a lot of aspects to be as versatile as I could. What makes them exceptional is their character. It shows through in their playing. That’s why they are both considered to be rock guitar icons. They’re not giving themselves enough credit. That’s not something you study and learn. That’s in their DNA. What is something that Slash has taught you just by being in a group with him the past few years that you know bring to Alter Bridge? How hard he rehearses. When we’re preparing for a tour or a record he will rehearse something over and over and over again. He just burns it into his brain. I’ve seen how that can have a positive impact on a performance and how a song comes across. I definitely try to incorporate that more now. For example, this press run we are about to do, we have a few acoustic gigs. It used to be that I would just show up, grab the acoustic and play the song or short set that we had. Now, after playing with Slash, he would insist we get together and practice acoustically because it’s a different arrangement. Little things like that have tweaked my perspective. I work that much harder because of it. He’s instilled a certain work ethic for sure. He’s amazing. To come full circle here, thinking about the concept of heroes, Alter Bridge to many people are in a position of heroes as musicians and artists; even by using your voices to bring light to the subject matter. How does it make you feel to be on the other side of it in the hero slot? I’ve never really thought about that. That’s heavy. We just want to be decent and positive role models where we can create something that people enjoy and that makes people happy. At the end of the day, that’s why we are here. As far as being an actual hero, for example the people we are talking about in “You Will Be Remembered,” military people, fireman, policeman or anyone that puts their life on the line for something, to me that’s a true hero. We are just trying to be positive and pass it on.